Apple has just updated the web plug-in blocking mechanism to disable all Flash Player versions prior to Flash Player 23.0.0.162 and 18.0.0.375, due to security issues identified in the older versions. 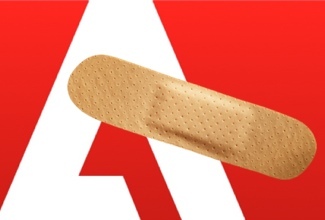 This update comes to you just a week after Adobe Systems released Adobe Flash Player 23.0.0.162 for Mac and Windows with security fixes for critical vulnerabilities, some of which could lead to information disclosure and arbitrary code execution. If you haven't updated Adobe Flash recently, you may see the message, "Flash out-of-date," when attempting to view Flash content in Safari. Seeing this message means that the version of the Flash Player plug-in on your computer does not include the latest security updates and is blocked. To continue using Adobe Flash Player, you will need to download an update from Adobe. To update your software to the latest Flash Player version, your best options is to go directly to Adobe's official site to ensure the software you download is safe. If an update is available, click "Yes," and then follow all of the prompts from Adobe for updating to the latest version of Flash Player. When Mac users update using this method, your computer's internal system will properly check and connect you to Adobe's official website. In this way, because the Mac's internal system bypasses fake websites entirely, you are far less likely to be fooled by phishing websites. This is the most secure way to update Flash Player. Adobe Flash users can learn more about the Flash Player 23.0.0.162 update here, which includes information about the vulnerabilities resolved and safe download links. Editor's note: Originally published September 24, 2014. This post was updated September 20, 2016, for accuracy and comprehensiveness. This entry was posted in Security News and tagged Apple, CVE-2016-4171, Flash Player, Flash Player 18.0.0.360, Flash Player 22.0.0.192, plugin, Safari. Bookmark the permalink. That’s great, but every time I try to update it, it tells me Safari is open, when it isn’t. How do I update my flash player? So frustrated. Ensure that you are not running any applications that may be blocking Flash Player from installing. This includes your browser, such as Safari. You may need to Force Quit these applications (click on the Apple menu icon in upper left corner of your Mac, then choose “Force Quit” and quit any applications disrupting your Flash Player update. … releases new version of Flash which totally murders Sarafi within seconds of opening it. @adobe @cnn If you want me to consume your content, stop using Flash, use YouTube. I am done dinking around with Flash Out of Date. CNN is the main culprit. I am sure Adobe can write suicide code that can self destruct bad Flash, I won’t miss a dud. I know I can get rid of the error message by installing the latest Flash version. What I would really like to know is how I could make Safari stop checking my Flash version, stop whining about it, and just work with whatever Flash version I happen to have at the time. how long does it ake to upload? my safari was upgraded & no the abobe flash is blocked. i cannot see videos. Why does Adobe need to update Flash ever? Constantly tinkering with it to keep some team employed is more obnoxious to the end-user (as this article and responses demonstrate) that simply leaving it alone. Badly done, Adobe. Blame Apple for blocking Adobe even after you get the newest version. Google can figure it out but Apple can’t.